Being a caring, loving and successful mother is not so much easy as you can think. Especially if you are a new mom and you have your first baby. You lack some experience and knowledge concerning motherhood. One of the problems which you can face as a young mother is about the foods that are dangerous for your baby. The greatest risks that can be caused by some foods include a choking hazard and an allergic reaction. 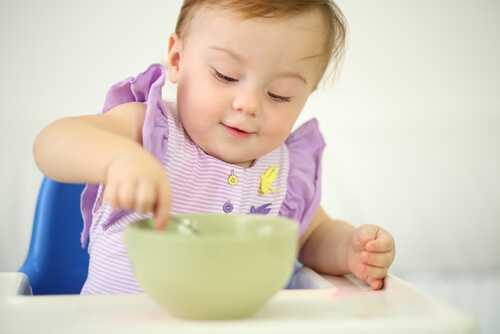 It is recommended by doctors to avoid giving solids foods to your babies until they are 4-6 months old. Very often some parents can’t resist their temptation to feed a baby the same food they are eating. You should be patient, wait a bit until you find out which foods are healthy and safe. The following list of dangerous foods for children will help you to prevent your child from undesirable diseases and sicknesses. It is important to remember that you shouldn’t give your babies cow’s milk if they are under 1 year old. Breast milk is the best choice for your little one. There are some definite reasons due to which your child shouldn’t consume cow’s milk. For example, it can lead to an iron deficiency as the amount of this element in milk is very little. Besides, cow’s milk isn’t rich in Vitamins C, E and zinc. Its absorption is quite a difficult process. Cow’s milk is not advisable for little children because they may be subjected to some digestive problems. Certainly, cow’s milk is so healthy for adults but for babies it is unsafe. Moreover, it can influence badly your child’s kidneys. The only thing which you should keep in mind is that all kinds of nuts are forbidden for your children when they are not older than 4 years. The main reason is the threat of choking. But not only nuts are dangerous, nut butters also can be, as their texture is thick. You know that nowadays a great number of people have allergies of various kinds. Your baby is not an exception. When you give nuts to your kids you expose them to a danger of allergy. I would advise you to consult a pediatrician before feeding your babies with nuts. There is one food which most parents are afraid to give to their babies. That is fish. Why is it unsafe for them? I can give you a few answers for this question. For instance, fish has the ability to prevent the growth of the body as it contains mercury. You should be more careful with such kinds of fish as King Marcel and swordfish. They are extremely high in mercury. It’s not a secret that an allergy can be caused by different fishes. That’s why you’d better wait until your children are 2-3 years old and after that cook fish for them. In such way, you can protect your kids from allergic reactions. I think, you won’t object that fish is one of the most dangerous foods for your babies. Perhaps, it will be a surprise for you but eggs can also be unsafe for your kids’ health. All young moms should remember that babies are usually allergic to eggs. But don’t be disappointed. Usually when children grow up they are not exposed to allergy as much as before. At the age of 5 years your kids can eat eggs without any risk to their health. There are a few symptoms of allergy caused by eggs, which every caring mother should definitely know. They are the following: a rapid heartbeat, flushing, problem with breathing. Nevertheless, you shouldn’t rely only on your own experience and intuition. It’s better to visit a doctor. Everybody knows that fresh fruits and vegetables have enormous number of vitamins and nutrients that are beneficial for our health. But this is perfect only for adults. If you give raw vegetables to your kids you can endanger them. Firstly, fruits and vegetables are hard and difficult for babies to chew them up. Secondly, they can be hazardous for children because of a choking risk. It is reasonable to cut any large food into smaller pieces for your baby. It mostly concerns round fruits and vegetables. One of my friends has a son who is 4 but she still cuts different food for him in order to prevent from choking. Numerous benefits of honey are undeniable. Our body can get a lot of vitamins and nutrients when we consume honey. Even little children know that honey is the first remedy for a sore throat. Maybe it will be a surprise for you but it’s better to delete such product as honey from your baby’s diet. You should give a bit of it only when your little one becomes at least 1 year old. Why is honey so harmful for kids? The most terrible thing about it is the threat of developing botulism. It happens because of special bacteria which can be found in honey. It doesn’t mean that every baby who eats honey will get this disease, but still the chances are big. But if you are so eager to feed your children with honey, you can give them some foods which contain it as one of the ingredients. It won’t be dangerous as the honey has been already heated at high temperature. So you must sure that any harmful bacteria will influence your kid’s health. Maybe somebody can object to me, but I consider caffeine is not necessary for our body. Actually, it can function well without this component. We won’t supply our body with vitamins and minerals when consuming caffeine. It doesn’t influence our healthy lifestyle and our health in particular. Definite side effects are obvious if your baby drinks anything containing caffeine. As a result the child will have nausea, become fussy and even insomnia is possible. In conclusion, I must say that it’s very important to consult a pediatrician before you start feeding your baby with any kind of solid foods. A doctor will shed the light on all the details which were unknown earlier. You will definitely know which foods are beneficial and which must be avoided. If you have any other ideas concerning unsafe foods for small children you can tell us.